A dispute over the Southern Kurils/Northern Territories is refocusing minds in Japan. Territorial squabbles are nothing new to Japan. The recent spat with China over a maritime collision in disputed waters has stirred up arguably some of the most tension between the Asia powerhouses in decades. And the ongoing row with South Korea over a brace of (almost) uninhabited islets continues to mar ties between Tokyo and Seoul. Seiji Maehara, Japan’s new foreign minister, must have thought he had enough on his plate in dealing with territorial issues in waters to the west of Japan. But with Russia now flexing its muscles like a Vladimir Putin photoshoot over contested islands to Japan’s north, Maehara will have to pull out all the stops. The islands in question are known as the Northern Territories in Japan and the Southern Kurils in Russia. Japan held sovereignty over the islands until the end of World War II, when they were occupied by the Soviet Union. The 1951 San Francisco Peace Treaty between Japan and the Allied Powers states that Japan should give up claims to the islands, but also doesn’t recognize Russian sovereignty (the islands are shown in white on many political maps of the world). Russian President Dmitry Medvedev reportedly planned to visit the four disputed islands late last month after a visit to China, but poor weather put pay to his trip. Russia regards the islands as an important part of its territory and is keen to develop the relatively undeveloped far east of the vast nation and become a bigger player in the Asia-Pacific region. Getting wind of the planned visit, Tokyo issued a warning to Moscow not to aggravate tensions, saying it would take ‘appropriate action’ if Medvedev became the first Soviet or Russian leader to step foot on the islands. The Russian foreign ministry quickly countered that Japan’s warning was unacceptable. Now there’s speculation that Medvedev will head to the isles in November after attending an annual APEC summit being held, ironically, in Yokohama. Previous Russian leaders have forgone visits based on an agreement made between Tokyo and Moscow in 1993 to settle the issue through negotiation. In an online article Sunday, The Voice of Russia (the Russian government's international radio service) makes no bones about Moscow’s position: ‘Moscow is willing to negotiate the issue, but it is against “re-drawing” the post-war map. 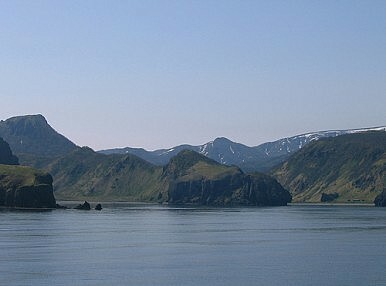 The Kuril Islands, and half of Sakhalin, were part of Japan before 1945. Also, Japan acquired through aggressive wars a number of other territories, including Manchuria, Korea, Indo-China, Philippines and a string of Pacific islands up to Indonesia and New Guinea. Do the Japanese want them all back too? With Russia and China courting one another to trade in energy and resources, the two nations are both now pressuring Japan over territorial claims. Meanwhile, the two countries penned a joint statement last week to mark the 65th anniversary of the end of World War II in which they lambasted Japan. Japan’s leading conservative voice, The Yomiuri Shimbun, blasted the statement in an editorial on Friday: ‘It is extremely unusual for any nations to issue a joint statement on their historical perceptions of World War II, especially 65 years after hostilities ended. Japanese nationalists vented their fury over the weekend at China’s perceived increasing belligerence and what they (and the opposition Liberal Democratic Party) see as a diplomatic defeat over the detention of a Chinese fishing boat skipper (Jason gives an alternative view over on China Power). And any visit by Medvedev to the so-called Northern Territories will no doubt trigger further right-wing protests. The DPJ-led government, which seemed to bungle its handling of the Senkaku/Diaoyu fracas, would also encounter an aggressive media and come under intense pressure to stand strong for Japanese interests if Medvedev made the trip. Kan or Maehara would be well advised to move quickly to find a solution, ideally, perhaps, through a quiet meeting with Medvedev to nip this in the bud. Failing to do so would see them spending more valuable time in the Diet defending their actions rather than getting on with the pressing business of fixing the nation’s economy.